Hawaiʻi Public Radio investigates the lingering and long-term effects of crystal methamphetamine on Hawaiʻi’s communities in its first extensive four-episode podcast and radio series. 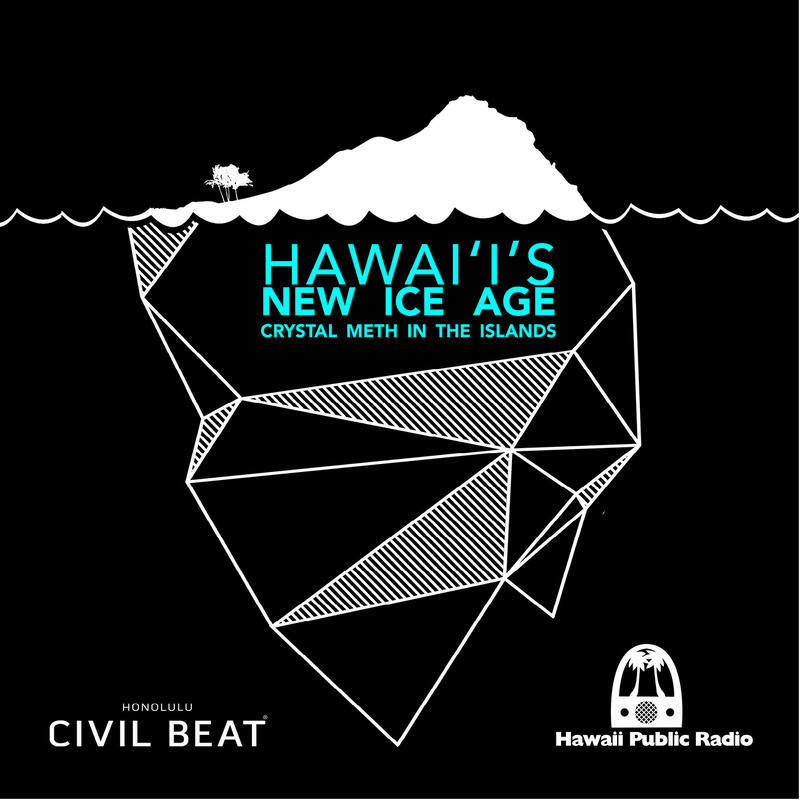 The series, called “Hawaiʻiʻs New Ice Age: Crystal Meth in the Islands,” will be broadcast starting May 25, and available for subscription at www.hawaiipublicradio.org. The radio stories will air on both of HPR’s two streams on Wednesdays and Thursdays until June 16: at 7:40 a.m. and 4:30 p.m. on HPR-1, and 12:30 p.m. on HPR-2. The series is produced by HPR, with cooperation on the podcasts from Honolulu Civil Beat. The extended podcast episodes as well as the shorter radio pieces reveal statistics that many will find surprising: 94% of federal drug cases in the state involve methamphetamine, and the state’s largest hospital emergency room sees 45 people a day with some complaint related to meth use. Doctors are also finding positive tests for the drug in people in their 80’s, as well as seeing in the large population of former users signs of chronic health problems. Among those interviewed for this series are The Honorable Edward H. Kubo, Jr.; Dr. Ronald Kuroda, Medical Director for The Queens Medical Center, West O‘ahu; Dr. Daniel Chang, The Queenʻs Medical Center; Mitch Roth, Prosecuting Attorney for Hawai‘i County; Gary Yabuta, Executive Director of the Hawai‘i High Intensity Drug Trafficking Area and former Chief of Maui Police; Jim Rouse, a public defender on Maui; and Hannah Ii Epstein. Primary reporting for this project was done by Noe Tanigawa and Molly Solomon of Hawai‘i Public Radio. Further reporting was done by Wayne Yoshioka of HPR, and Nick Grube and Eric Pape of Honolulu Civil Beat. A week ago today, two men pleaded not guilty in the largest bust ever involving crystal methamphetamine on Kaua‘i. Police say they found seven pounds of meth—worth $1.6 million. It’s the latest reminder that crystal methamphetamine remains a devastating problem around the state.